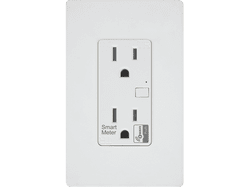 Appliance switches are modules that you plug into an outlet or, are an outlet themselves that you install in a gang box. These modules only turn on and off and are not dimmable. They control via Z-Wave and a home controller, the power to any item plugged into them. Some of them have the ability to report how much electricity is being used and some of them are made for outdoor use. Provides remote ON/OFF switching for loads up to 15 amps including appliances, lamps, motors, and audio/video equipment. Choose the Evolve unit if you have or plan on having any Z-Wave door locks in your home. 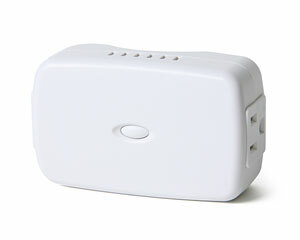 Provides remote ON/OFF switching for loads up to 15 amps including appliances, lamps, motors, and audio/video equipment. Local control of any light or appliance plugged into the controlled outlet can be achieved by switching the load ON/OFF switch once or twice.